With the increasing presence of small- and medium-sized businesses with revenues less than US$ 10 million, the load monitoring systems market is expected to remain fragmented. Multipronged benefits of employing load monitoring systems has intensified the competition among local as well as global players in the market. These players are taking up aggressive expansion strategies, as increased automotive production, rapid industrialization, and energy demand continue to bolster adoption of load monitoring systems market. Spectris, a leading productivity-enhancing instrumentation and controls company in the load monitoring systems market, announced in April 2018 the merger between Brüel & Kjær Sound & Vibration – a Danish electronics company – and its subsidiary HBM. 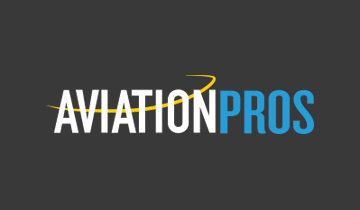 The new company named HBK will be dedicated to providing combining sensors, integrated offering, data acquisition, preparation, evaluation and engineering services into one solution in the domains of propulsion, safety and noise, durability, vibration and harshness. 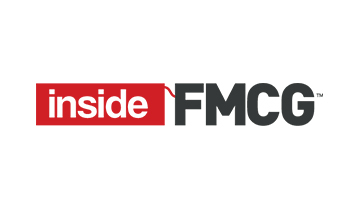 DLM Ltd., a U.K.-based company in the load monitoring systems market, announced the launch of a new innovative range of wireless electronics in January 2019. With the release of TW-3.0, which is a multi-functional load monitoring system designed to integrate load cells, proximity sensors, encoders, etc., DLM is introducing innovation in their product range by developing their own electronics. HBM, a subsidiary of Spectris and manufacturer of products for test and measurement, announced in July 2018, the launch of its new product in the load monitoring system market. With the launch of its new C6B force transducer, which is a load cell, the company has introduced a flexible and cost-effective load monitoring solution for rugged and dynamic applications. The company also declared that the C6B force transducer is capable of measuring a load of large constricting forces ranging from 200 kN to 10 MN. Vishay Precision Group, Inc., a U.S.-based manufacturer of resistive foil technology, sensors, and sensor-based load monitoring systems, announced in January 2019 that it has partnered with Bridge Diagnostics, Inc. (BDI), a structural instrumentation company, for the sale of its products under its brand Micro-Measurements® on GSA Advantage – the U.S. General Services Administration portal. 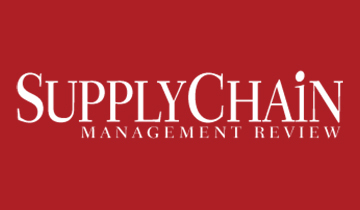 By offering Micro-Measurements products on the GSA Advantage portal, the company aims to leverage the online shopping and ordering portal for connecting with thousands of contractors and vendors and gaining access to millions of cost-effective goods. 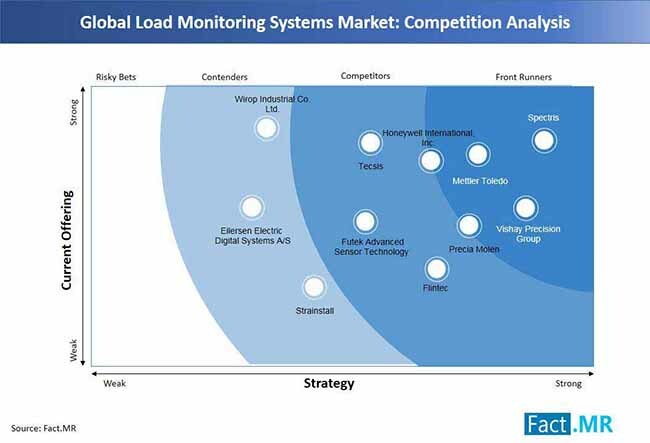 Spectris, Flintec, Precia Molen, Mettler Toledo, Vishay Precision Group, Wirop Industrial Co., Ltd., Strainsert, Futek Advanced Sensor Technology, Tecsis, Eilersen Electric Digital Systems A/S, and Euroload Ltd. are among the prominent stakeholders in the load monitoring systems market. Fact.MR’s study offers incisive insights on the load monitoring systems market. A summary of the report is available upon request. Energy consumption has witness a marked rise in line with rapid urbanization activities, resulting in a significant energy crisis worldwide.. In 2017, the industrial sector accounted for more than one-third of the total energy consumption in the United States, according to the U.S. Energy Information Administration (EIA). This has led the industrial sector to concentrate on reducing fossil fuel consumption, in turn creating demand for load monitoring systems. As energy optimization and management becomes an important part of modern business strategies, triggered in part by increased prices charged by utility providers. Moreover, plummeting availability of natural resources highlights the importance of efficient energy management for industry players to limit production costs. Thereby, growing needs for mitigating industrial energy consumption by implementing energy management systems is fuelling growth of the load monitoring systems market. 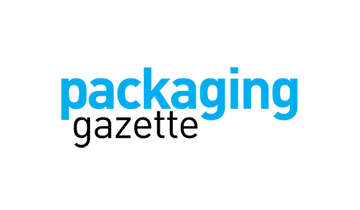 The availability of a wide range of state-of-the-art alternatives to various products is intensifying competition in almost every industrial sector. 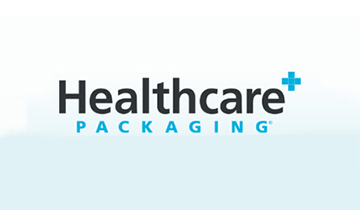 The heightened pressure of improving the product quality is forcing manufacturers are seeking ways to mitigate manufacturing errors and improve the quality of end-products. Load monitoring systems can aid manufacturers in reducing operational or instrumental errors and enhance the performance characteristics of their electric distribution systems. Thereby, a mounting number of end-users are employing load monitoring systems for attaining more precision and accuracy in manufacturing high-quality products. Incidents of load monitoring systems failures caused due to various factors, such as corrosion, dust, misalignment, hardened grease, and frozen or broken parts, are impacting the load monitoring systems market growth negatively. Defective components, external factors, incorrectly programmed, broken, or miswired current sensors in load monitoring systems can lead to the inaccurate outputs produced by the systems. Thereby, scheduling periodic maintenance has become mandatory for end-users to ensure the error-free operation of load monitoring systems. This can add to the operational costs and maintenance costs associated with load monitoring systems, which hamper growth prospects of the load monitoring systems market. Thereby, leading market players are focusing on developing innovative designs and advanced features of load monitoring systems that can offer potential failure alters to end-users to, at least, reduce the risk accidental system failures and loss of production. The recent trends of increasing adoption of load monitoring systems are spreading across industries as manufacturers have begun to recognize issues vis-à-vis energy management and load monitoring that need attention. Thereby, with energy management becoming an integral part of most manufacturing operations for businesses, many industry players are adopting load monitoring systems. Furthermore, increasing needs for reducing production costs by limiting energy consumption and improving product quality is boosting demand for load monitoring systems is increasing across industries. 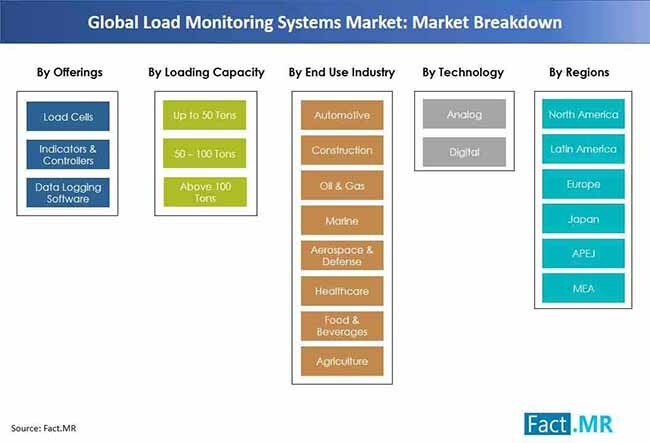 Thereby, increasing applications of load monitoring systems across various industries, including healthcare, aerospace & defense, oil & gas, construction, and automotive industry, is expected to bolster developments in the load monitoring system market. Based on the loading capacity, the load monitoring systems market is classified into three categories – up to 50 tons, 50-100 tons, and above 100 tons. Depending to the end-user industries, the load monitoring systems market is classified into automotive, construction, oil & gas, marine, aerospace & defense, healthcare, food & beverage, and agriculture industry. Depending on the technologies used while manufacturing load monitoring systems, the load monitoring systems market is classified into analog load monitoring systems and digital load monitoring systems. Based on regional prospects of the market, the load monitoring systems market is classified into North America, Latin America, Europe, Asia Pacific region excluding Japan (APEJ), Japan, and the Middle East & Africa (MEA). A robust research methodology used during the course of the Fact.MR report on the load monitoring systems market is discussed in this section. In addition, the section explains about primary and secondary research approaches used to derive the load monitoring systems market growth prospects. 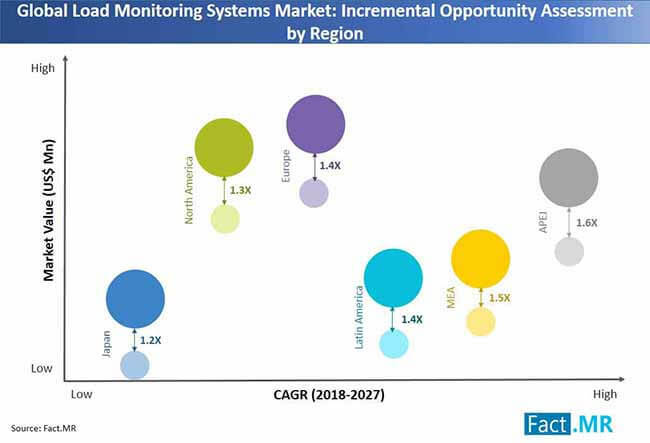 The Fact.MR report provides readers with exclusive estimates about the development in the load monitoring systems market for the period 2019-2027. The research methodology includes multipronged approaches to study load monitoring systems market. The information featured in the load monitoring systems market report is acquired through in-depth secondary and primary market research on the load monitoring systems market. Secondary research on the load monitoring systems provides the historical industry-validated facts, data and information about the load monitoring systems market. The insights on load monitoring systems market included in the research study have been validated through authentication of information offered by industry experts and leading players in the load monitoring systems market. 16.9. Load Monitoring Systems Ltd.
16.11. Wirop Industrial Co. Ltd.
16.38. HITEC Sensor Developments, Inc.
16.40. ADI ARTECH TRANSDUCERS PVT. LTD.